Foresters, 5 Church Street, Harwich. As with any old building there are some questions about the origins of the Foresters Arms but it was almost certainly built as a house around 1450. It is two storeys with attics and a long wall jetty (overhanging first storey) to the Church Street frontage. There is a two/single storey extension to the rear that was probably added when the building was a pub. The timber frame creates four bays and is largely constructed out of elm with the left hand bays forming large chambers on the ground and first floors. One explanation for the longevity of the building is the use of the “special” elm wood from nearby Dovercourt (after which the area “Crooked Elms” is named). In the early 19th Century the house became a pub and although it was called the Foresters Arms it was known locally as the Drum and Monkey. The precise reasons for the nickname are a little uncertain but there was definitely a monkey and a drum involved. One story says that the monkey had been trained to bang a drum to warn the licensee when a customer came in and another story has the monkey taking the drum around to collect fines for bad language – both stories could easily be true. 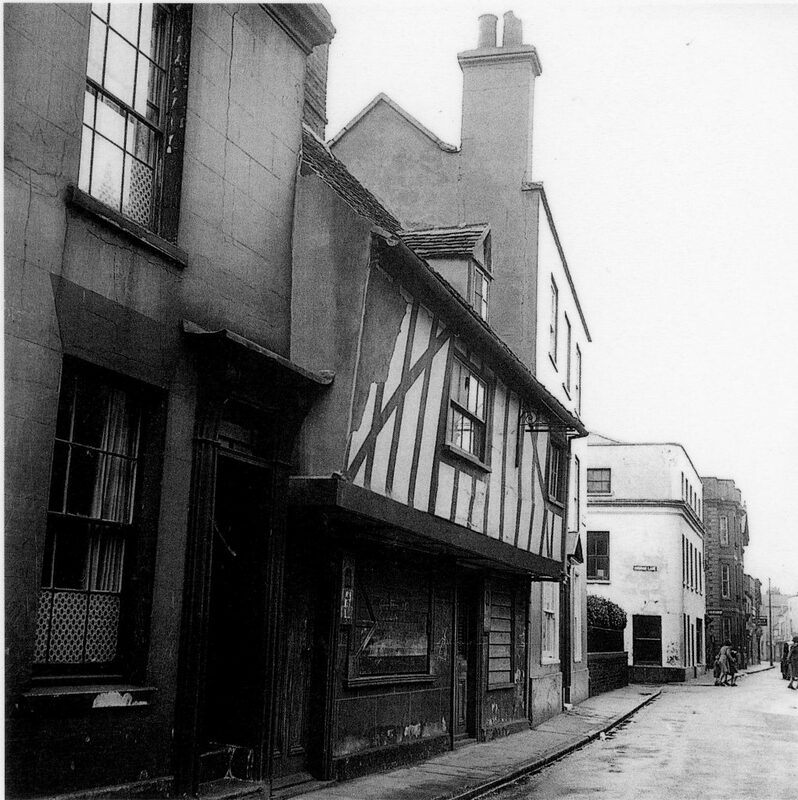 The pub was run by the same family for over 60 years – Daniel Barwood arrived with his family in Harwich in 1877 and ran the pub until his death in 1913 when his wife Harriet took over and ran it until 1923 when her son Frederick took over and ran the pub until it closed. The inn is reputed to be 500 years old, and is included in the list of ancient Harwich buildings. 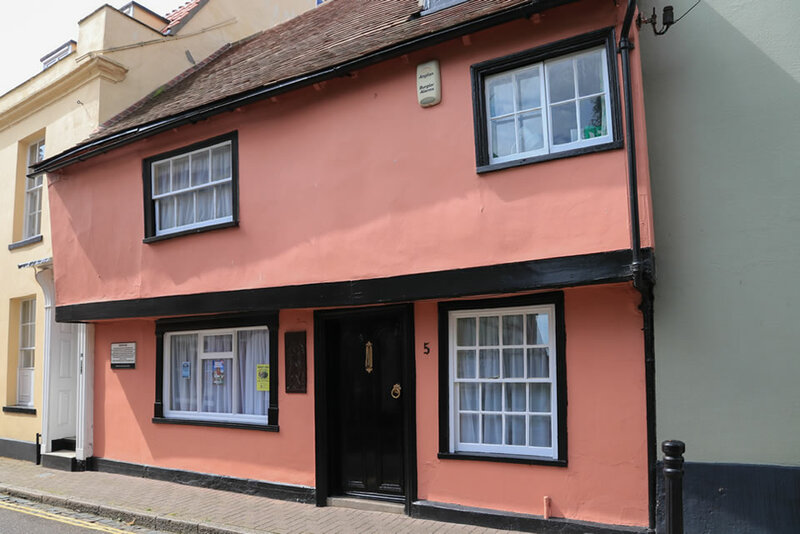 The building is estimated to have been built in the 15th century, but Mrs W. Copper thinks the oldest part probably dates from the early 16th century. Unfortunately. The old deeds which went back to the time the inn was erected, were destroyed during the war when they were housed in the Chancery-lane safe deposit, which was bombed in 1941. The Luftwaffe effectively closed the pub in 1941 when it was badly damaged by incendiary devices during a bombing raid. The story goes that although it was uninhabited it was still furnished and Fred Barwood retained the keys so he could visit each day. When he passed away his daughter was offered the pub by the owners Ind Coope but she declined the offer and it was sold on with restrictive covenants meaning it could not reopen as a pub. Mrs. Cooper first became interested in the building in 1946, but discovered that it was still licenced, and decided it was of no use to her. Every time she went to Harwich she looked at the inn, and became more and more intrigued with the idea of living there. It was not until July, 1951, that she finally became the owner. It was soon apparent that quite a number of alterations were required. The wooden floors were laid straight down on to the earth, and it was decided that concrete would have to be substituted. Some of the oldest Harwich residents claim that a smugglers’ tunnel formerly led out from the cellars, but it was bricked up years ago. 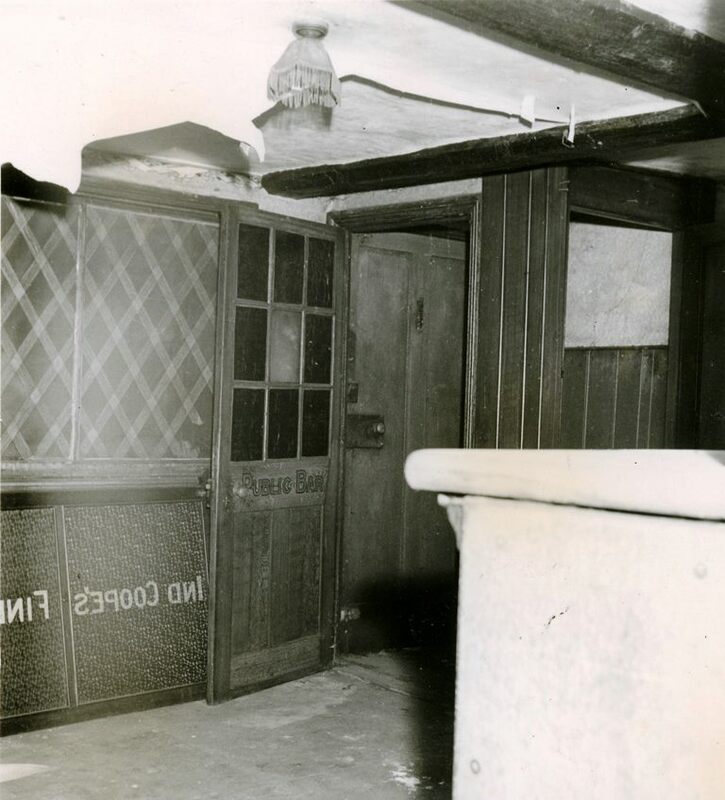 The two rooms facing on to Church-street were both bar rooms, one the public bar, and the other known as the snuggery. These were the only two ground floor rooms in the original dwelling house, and the dining rooms and kitchen lying behind the snuggery appear to have been added at a later date. 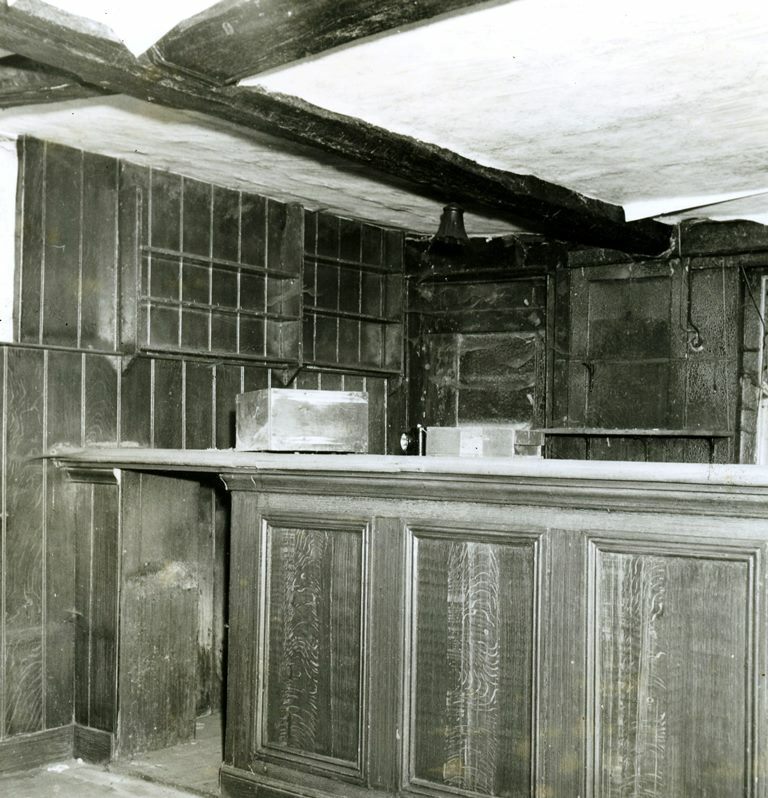 The dining-room which was used as a bar parlour before the inn was closed, has a very low ceiling. The room above, is to have its ceiling raised by two feet, and will become a bathroom. The snuggery is to become the hall, and this will necessitate moving doors and sealing up door ways. Upstairs there are two low ceilinged attic rooms, a large and small bedroom. No major alterations are required there, but the part of the upper floor overhanging the street will have to be rectified. Winifred Cooper who lovingly restored the building and lived in it for 46 years, bequeathed the building to the Harwich Society – the organisation of which she was president. Today it is the Headquarters of the Harwich Society. She will not be easily replaced but she will never be forgotten as long as the Harwich Society Exists.